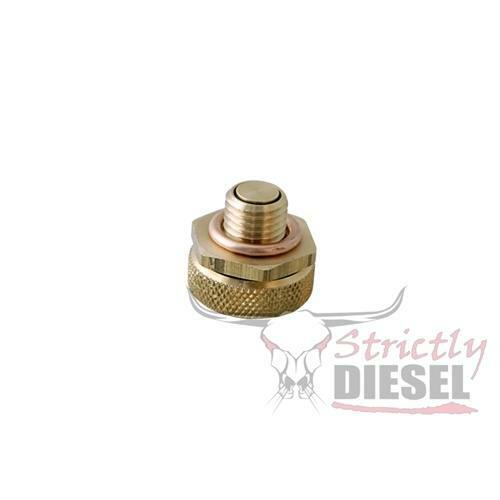 Ford 6.7L Oil Pan Drain ValveThese slick oil pan drain plug and drainer kits will take the mess out of changing your oil. Simply remove the dust cap and screw on the drainer for a quick, hassle-free service...even with hot engine oil. These slick oil pan drain plug and drainer kits will take the mess out of changing your oil. Simply remove the dust cap and screw on the drainer for a quick, hassle-free service...even with hot engine oil. Part fits perfectly in the 6.7 powerstroke OEM steel oil pan. It comes with no instructions, but the part is a common sense install. Torque specs are on the back of the product on a white sticker.